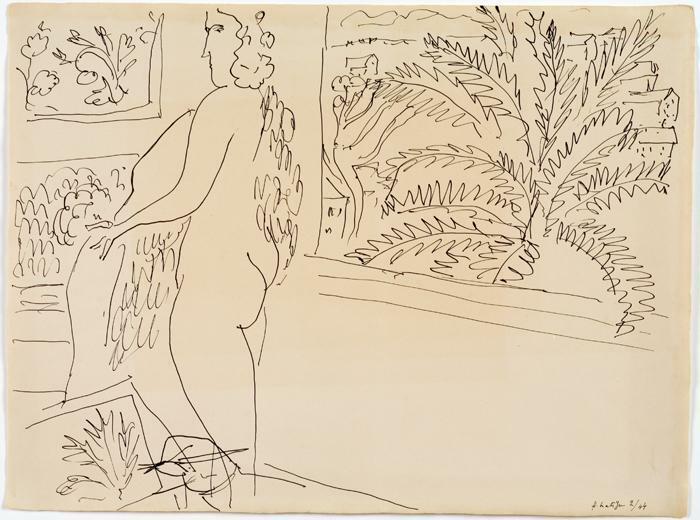 SOUTH HADLEY — The drawings of Henri Matisse must surely be among the most beautiful objects made by any human hand in the 20th century — or, come to think of it, ever. You look at them, you register their legendary ease and simplicity, and it’s very easy indeed to take them for granted — to assume that in some strange way they were born and not made. Matisse’s characteristic line, at once classically concise and dreamily unmoored, has in that sense become a cliché, part of the visual air that we breathe. 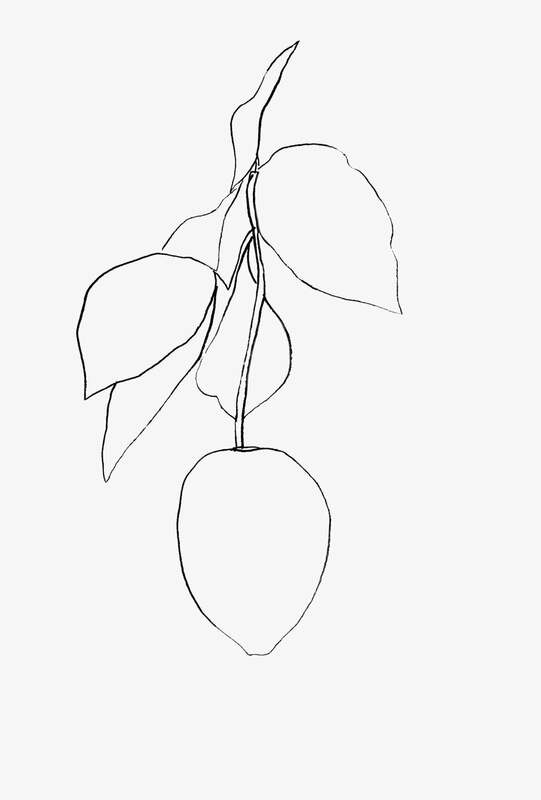 And, in fact, in other ways, too, Matisse’s drawings are just like air. They expand and contract. They have areas of high and low pressure. The heat they give off shifts from zone to zone. And they have a quality that is at once manifold (full of variety and particularity) and indivisible. Forty-five of them are on display in a ravishing show at the Mount Holyoke College Art Museum. 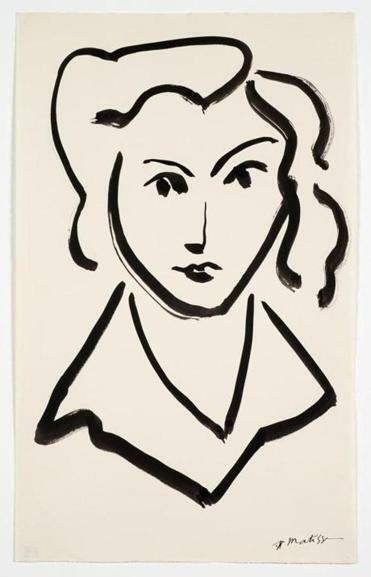 Drawn from the collection of the Pierre and Tana Matisse Foundation Collection, the show is mostly made up of works from the last three decades of Matisse’s life (he died in 1954). Many have only rarely been seen in public. Quite a few are mere sketches or studies. Prior to this show, some had not even been framed. Apart from a chance to see works that even Matisse scholars have barely had a chance to comb over, what gives the show its special, intimate appeal is that the drawings were selected and installed by one of the world’s greatest living artists, Ellsworth Kelly. At the invitation of the museum’s director, John Stomberg, Kelly, who is 91 and lives across the Massachusetts border in Spencertown, N.Y., was given total control of the choice and presentation of the works. He has done the whole thing beautifully. Sketches that might have seemed negligible (a page with four lips and two eyes, for instance) take on a special, slanted interest because we are seeing them — or so we imagine — through the eye of a fellow artist, rather than a duty-bound curator. The show has no clear organizing principle. 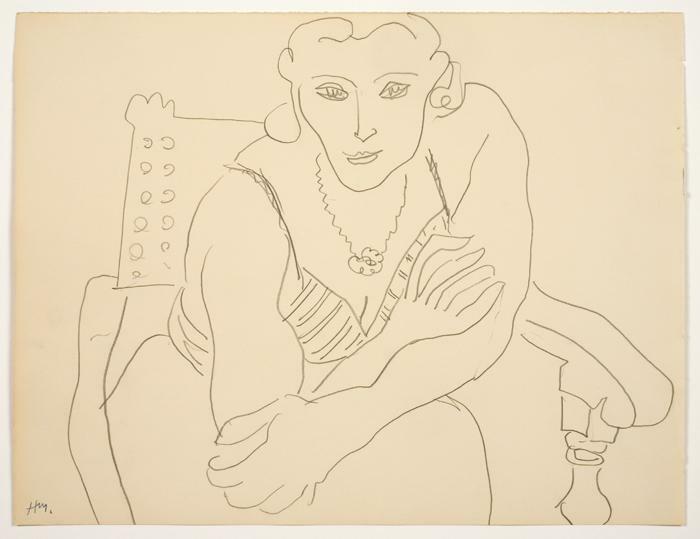 But there are three or four congregations of related works, including a row of drawings showing women reclining, produced between 1934 and 1944. Each figure emerges horizontally from one side of the page; each head rests on folded arms. And yet the lines and the shapes they describe are all substantially different. There are also three studies of women wearing veils: a rare instance in Matisse’s graphic work of visual overlap — of one thing seen behind, or through, another. And there is a series of five drawings that all show female heads. In four of them, the contours of the faces are described with lines that converge at the chin, forming heart shapes. In the fifth, remarkably, these facial contours have been left out entirely. It makes no difference; this fifth face is just as legible as the others. Of course, this is what Matisse was doing all the time in his quest for a preternatural lucidity: leaving out the unnecessary. Kelly, who follows a similar principle in his own art, has also applied it to the gallery installation. There are no wall labels, just a light, menu-size wall brochure you can choose, if you desire, to carry with you. According to Stomberg, Kelly had a 6-foot scale model of the Mount Holyoke gallery installed in his own studio so that he could plan the hang. The drawings have been evenly spaced in a single row, with larger or darker works carefully placed to punctuate the hang at appropriate intervals. At Kelly’s urging, all the works have been freshly mounted with identical mats, so that each picture retains the integrity of its original scale. They have also been given blond wood frames. In a small adjoining gallery, there is an added treat: a display of nine large-scale lithographs by Kelly himself. These scintillating works, from a series made between 1964 and ’66, depict leaves, flowers, and fruits: magnolia, catalpa, lemon, cyclamen, and so on. All nine reveal Kelly’s instinctive feeling for clarity and rhythm, and a willingness — one he shares with Matisse — to honor idiosyncrasy even in the midst of radical distillation. Kelly’s drawings and prints have been paired with Matisse’s drawings before, including in at least one publication I have often drooled over. Despite their affinities, they are different in many respects — perhaps chiefly in Kelly’s preference for closed forms over unmoored, open ones. Matisse’s drawings represent mostly women, but also interiors, trees, arrangements of plants, vessels, furniture, and friends. Look out for “Woman, fingers on lips,” in which he carves up the paper with just a few lines. By boldly cropping the woman’s head above the eyes but below the eyebrows, he also conveys her forceful expansion beyond the boundary of the page. 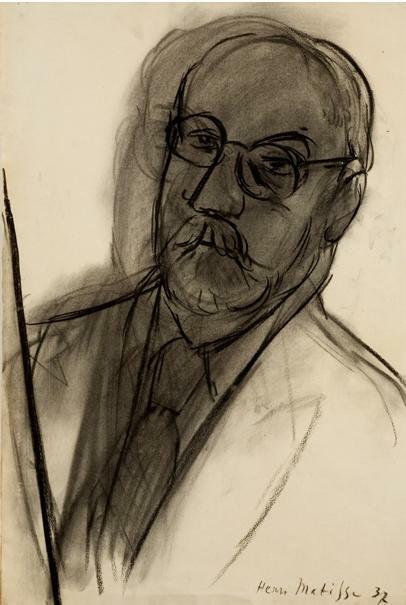 The smudged charcoal drawing “Head of a woman” and the powerful “Large self-portrait” remind us that Matisse could be a master of tone as well as contour. The contrast between these works and “Woman in a hat” — a drawing so fine and delicate it calls to mind Watteau — is potent. In almost every one of these drawings, what’s obvious is that Matisse’s subjects were right there in front of him, sharing the same space, offering up their peculiar psychological resistance, and playing their crucial role in an ongoing transaction between Matisse’s eye, his hand, his emotions, and his extraordinarily supple pictorial intelligence. At the heart of that intelligence was Matisse’s uncanny sensitivity to the relationship between lines and the spaces around them. Eugene Delacroix, perhaps the greatest French colorist before Matisse, once said that there are no lines in nature. And in one sense, he was right: Physically, lines do not exist. They are a convenient distillation of a relationship between objects and space. There is something inherently artificial about any drawn line. But of course, to the human eye, outlines appear everywhere. They are a crucial tool in our efforts to make sense of the world, to distinguish between phenomena. And in this process of making distinctions with lines there exists great potential for beauty, simply because what’s at stake is our ability to negotiate the world — to navigate between different levels of yielding and resistance, different degrees of pleasure. Matisse’s lines are both artificial and real. In all his drawings, he makes us acutely conscious of the fact that drawing is a process. It’s both something that happens and something you do (just like looking). And as you do it, you become part of a not-entirely-conscious unfurling, a transformation that’s comparable to the wheeling growth of a plant, the flick of a rope, the inversions of a dancer, or the interplay of contrary forces in an eddying stream. That’s to say, everything in Matisse’s drawings exists in relation to everything else. And there is always, in his art — no matter how irrational his distortions or how bold his liberties — a miraculous, dreamlike sense of things existing in the right relation to one another. And in the right relationship to life.